How to watch The Killing: Season 4 (2014) on Netflix Germany! Sorry, The Killing: Season 4 is not available on German Netflix, but you can unlock it right now in Germany and start watching! With a few simple steps you can change your Netflix region to a country like Argentina and start watching Argentine Netflix, which includes The Killing: Season 4. 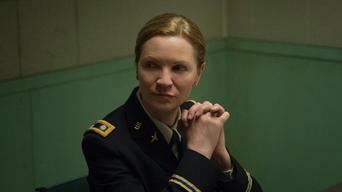 We'll keep checking Netflix Germany for The Killing: Season 4, and this page will be updated with any changes. 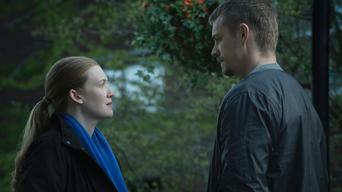 The Killing: Season 4 is not available in Germany BUT it can be unlocked and viewed! Seattle homicide detectives Sarah Linden and Stephen Holder are deeply affected by the murders they investigate in this dark, acclaimed crime series. There's no sunshine for a detective when a girl's killer is free. And the case is getting colder by the second. 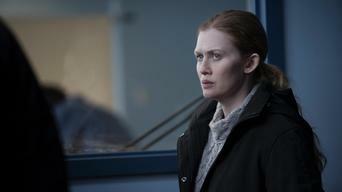 Season 1 of The Killing has 13 episodes. Because different Netflix countries have different availability for episodes, you'll need to check the episode listing below to see which are available in Germany. On her last day of work, Seattle homicide detective Sarah Linden is drawn into a new case involving a teenage girl's disappearance. The murder investigation begins as Linden and Holder question Rosie's parents, her friends and City Councilman Darren Richmond. City Councilman Richmond suspects a leak within his team, causing a shakeup in his campaign. Rosie's teacher provides Linden and Holder with a new piece of evidence. Linden and Holder question a suspect's family and neighbors. The police learn more about Rosie's whereabouts on the night of her death. Linden and Holder evade the FBI and unearth new evidence. The cops are stymied while trying to make an arrest, and the Larsens -- who are fed up with the police -- take matters into their own hands. While the cops regroup, Richmond goes up in the polls. Meanwhile, Stan faces consequences for his actions. Linden and Holder learn more about Rosie. But the investigation gets stalled when they have to go in search of Jack, who has disappeared. The police connect Rosie to a suspicious Web site, and Stan faces his demons. Meanwhile, Mitch uncovers secrets about Rosie. The police connect new evidence to the campaign car and to Rosie. Elsewhere, Stan and Mitch reflect on the past as their future hangs in the balance. Season 2 of The Killing has 13 episodes. Because different Netflix countries have different availability for episodes, you'll need to check the episode listing below to see which are available in Germany. In the aftermath of Councilman Richmond being shot, Linden returns to investigate a possible cover-up but wonders who can be trusted. Rosie's bloody backpack turns up at the Larsen house, and Linden goes to Tacoma, where she uncovers a secret about Richmond. Linden confronts Holder about Rosie's backpack. Meanwhile, Mitch has visions of Rosie, and Richmond faces the fact that he's a paraplegic. Linden and Holder identify the man with the tattoo. Elsewhere, Stan's mob connections continue to haunt him, and Jamie asks Gwen for help. An old voice mail from Rosie surfaces, giving Linden a fresh clue. Meanwhile, Mitch befriends a young runaway. Stan admits that he's not Rosie's biological father. Meanwhile, Jasper falls under suspicion, and Richmond entertains an unexpected visitor. Returning to the casino, Linden makes a troubling discovery. Elsewhere, Stan agrees to publicly exonerate Richmond, and tension grips the Larsen home. When Holder vanishes, Linden embarks on a desperate search for him. Later, Stan goes on television to solicit leads. Rosie's keys give Linden more access to the casino, and Richmond tries to help the investigation. Meanwhile, Holder goes looking for missing files. While Linden finds herself detained in a psychiatric ward, Stan tries to make amends, and Richmond mounts a comeback in the mayoral race. 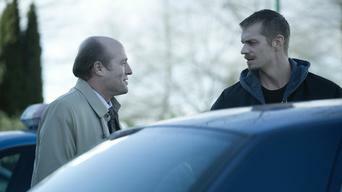 As Linden pulls strings to get the FBI involved in the case, Stan gets entangled with Janek. Meanwhile, Richmond's attempted suicide is made public. On Election Day, Linden and Holder narrow the suspects down to two people. Meanwhile, the Larsens reunite and try to find a path forward. 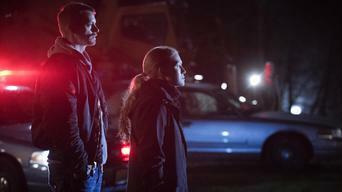 Linden and Holder identify Rosie's killer. Later, a revelation from a surprising source gives the Larsens closure. Season 3 of The Killing has 10 episodes. Because different Netflix countries have different availability for episodes, you'll need to check the episode listing below to see which are available in Germany. Holder catches an unsettling case. / Linden's past leads her to a grim discovery. Linden joins the task force with her own agenda, and Holder finds a new street informant. Meanwhile, Seward stokes an old rivalry. The task force shuts down a business, and Linden and Holder unite to seek "the voice." Meanwhile, Seward is offered motivation to obey orders. Linden and Holder, with help from Bullet, race to find a victim on the run. Elsewhere, Seward is an unkind host to a surprise visitor. As Bullet struggles with the truth, Linden and Holder catch up to the latest victim. Meanwhile, Seward comes face-to-face with his past. Linden and Holder get a break in the case. Meanwhile, Seward fights against his mortality, and Bullet takes on the role of protector. The investigation kicks into high gear when Linden vanishes. Meanwhile, Bullet decides to save Lyric and learns a dark secret. As Linden deals with the consequences of her past mistakes, Holder wrestles with personal demons, and Seward reveals the truth. As Linden seeks peace, the detectives pick up a new unnerving case. / Linden risks her life when someone close to her disappears. 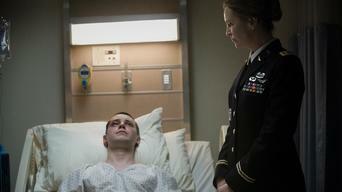 Season 4 of The Killing has 6 episodes. Because different Netflix countries have different availability for episodes, you'll need to check the episode listing below to see which are available in Germany. While covering up Skinner's disappearance, Linden and Holder are assigned a new case: the brutal murder of a family with ties to a military academy. Questioning a neighbor leads to a revelation about one of the victims. Meanwhile, Reddick begins to investigate the disappearance of Lt. Skinner. Reddick digs deeper into Skinner’s disappearance while Linden and Holder try to keep their crime a secret and their investigation from going cold. Linden and Holder focus their investigation on a student with a sordid past, and a tip from an informant leads Reddick to a shocking discovery. Information about the family murders surfaces as Kyle's memory starts to come back. Holder's loyalty is tested when confronted about Skinner's death. Linden and Holder's partnership spirals out of control as they are confronted with the shocking truth behind the Stansbury murders.